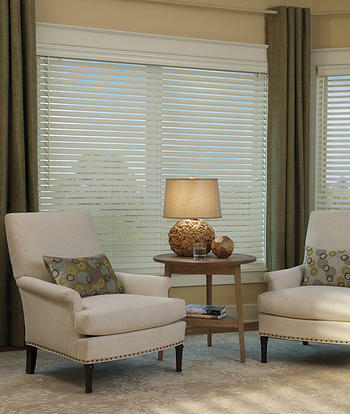 Are Shades, Shutters, or Blinds Better for Your Merion, PA Home? When you are ready to improve the window coverings in your Merion, PA home, it is essential that you compare the benefits of shades, shutters or blinds. As you learn more about the products, you will see that there are some big pros and cons to each of these choices. Before you make your decision, it is essential to talk to a window coverings expert, such as Blinds and Drapery Showroom. We are one of the leading providers of window coverings in Merion, PA, and the surrounding areas. Our team strives to provide excellent service to each and every customer. As you learn more about our company, you will find that we have a long list of satisfied customers. Ask around! Shades: These window coverings are a cost-effective way to cover the glass in a simple way. There are different styles and features that should be considered. For example, you might prefer a rolling shade instead of a design that stacks up when the shades are opened. Consider the color theme in your home and picka fabric that will blend well with the rest of the decoration features. You might choose bright, bold shade fabric that makes a statement and adds a pop of color. Or, another benefit is a neutral color so that the focus is on other design elements in the room. Shutters: It is easy to see why shutters are so popular because they are elegant and stylish at the same time. Shutters are made with wide slats that are connected with a rod that runs down the middle. Most people find it simple to open or close the shutters. One of the benefits is that you don’t have to worry about using cords or other pieces that can break. Keep in mind that shutters cost a little more than other window coverings. But, most homeowners agree that it is worth the extra cost. Blinds: A basic, stylish way to cover the window is with the classic blinds design. These products can be quite affordable, or you can choose high-end materials if there is a specific style that you want to create. Blinds are created using horizontal or vertical slats that are connected to a cord. By pulling the cord in a specific way, you can quickly open or close the window coverings. As you can see, there are benefits to each type of window covering. If you need help making your decision, then it would be worth your time to talk with a professional contractor. At Blinds and Drapery Showroom, we will gladly offer our expertise to help you with your window covering needs. We always schedule a complimentary consultation with each client that contacts our company. During this consultation, we will have the opportunity to talk to you about your goals for the window coverings. Additionally, we can discuss your budget for the project to find the materials and designs that will fit in your price range. As you are making your decision, it is essential that you consider both quality and safety of the products that you choose. Look at the way the products will be used in your home and the people that will be opening or closing the window coverings. For example, if you have young children or pets in your home, then you might choose a cord-free solution to reduce the risk of injury. Cords can be dangerous for young children, so there are benefits to choosing shutters or shades instead of blinds. The cost of your window coverings varies depending on the types of materials that you choose. Remember, these costs are an investment in your home. By making these upgrades, you can increase the value of your property. The best way to determine the cost of your home upgrades is by scheduling a free consultation with our team. Since there is a wide range of prices, we will talk to you about your goals for the project and make recommendations that fit your budget. At Blinds and Drapery Showroom, we are always upfront about the price that you can expect for your window coverings. There is no need for you to worry about tricky sales tactics or hidden fees that are added onto your bill at the last minute. Our goal is to help you save money and choose the window coverings that will best match your needs, at a price that is fair and within your budget.